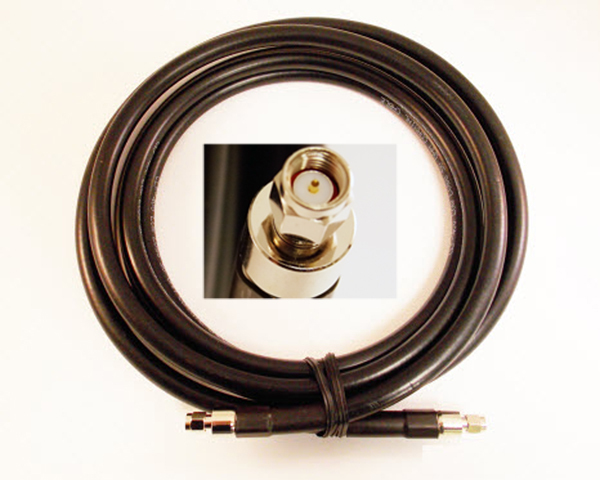 This RF Cable Assembly is commonly used for Cellular modems and routers, and WiFi Access points and antennas. Most outdoor antennas come with an N-Female connector, so you might need an adapter. This assembly uses the higher quality/ very low-loss CLF400 cable, which has approx. .04 dB per foot @900Mhz, and .06 dB per foot @ 2.4Ghz loss.